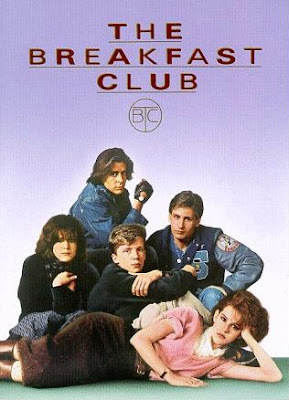 The Breakfast Club and Ferris Beuller’s Day Off have always been high on my list of “movies I want to own some day,” but alas upon learning of the untimely death of director John Hughes it occurs to me that I still do not have a single one of his movies in my film collection. It would make an awesome boxed set, anyway. A commenter at Nick Marinelli’s blog wonders why Democrats think democrats think “all this dissent is manufactuered”. Well, it’s not that I think the dissent is manufactured so much as the anger which is being drummed up by the malicious lies people are being fed about healthcare reform. We had a good time at Fiesta Texas yesterday. My son got a free ticket through a reading program at his school this year so even though we have season passes to Sea World, we ponied up for a day at Six Flags. Naturally it was a scorcher on Thursday. The prediction was for 102 and as it turned out it hit a record 103. But we were prepared with lots of sunscreen and spent the hot part of the day at the water park. I made the mistake of not bringing flip-flops and quickly realized my mistake after we put all our stuff in a locker and headed out for the water. While the wife and kids went on to the pool, I doubled back to get my credit card out of the locker and then sprinted over to one of the gift shops, scalding my feet in the process. I found a pair of cheapie flip-flops for $7 but the kid behind the register just looked at my credit card and asked for my ID. D’oh!! So I had to sprint back across the hot cement a second time to the lockers to retrieve my wallet. This time I was smart and put on my tennis shoes before making the trek back to the shop. Later in the day when it was time to pay for our $35 lunch which consisted of one double-meat cheeseburger, some oninon rings and drinks (seriously), I had my ID ready only to find that they took my credit card without asking for it. Grrrrrr! Fiesta Texas was great. There was lots more than we could do in one day even getting there at 10:30 a.m. and staying until the park closed at 9 p.m. We live close enough to Fiesta Texas that I can hear the fire works every night from my front lawn so it was nice to finally get to see the fireworks and laser light show up close. It will probably be a few more years before we get a season pass to Fiesta Texas. Our kids are still too young for most of the rides and aren’t old enough to appreciate most of the music shows. But they love animals which is why we go to Sea World. I just hope that Six Flags stays solvent and doesn’t close down before then. Weird Al Yankovic does White Stripes! Too cool! The video of an angry mob chanting “Just Say No!” over and over again in an effort to harass U.S. Rep. Lloyd Doggett during a forum on health care is a prime example of how Radicalism has replaced Conservatism in this country. These people are no different than the radical “Hippies” of the 1960s who came to represent left-wing or liberal politics all the way to the present. If anything, they are even angrier than the “Flower Power” children of the 60s ever were. It is disturbing that these radicals are organizing protests around the country with the express purpose of drowning out any efforts to examining the health care debate in a civil manner. Do you suppose the national media will start portraying these radicals in the same negative light that their 60s counterparts were? Or will they be too cowed by these braying morons’ charges of “liberal bias” to dare offer any critical coverage? Wow! Government really can do something right! Via The Washington Monthly comes an excellent article about the Corrupt, Bloated, Private For-Profit Fire Fighting Industry of the 1800s before we replaced it with government-run fire protection. I wonder how many people would like to turn back the clock and return to the days of private, for-profit firefighting outfits rather than the “socialized”, government-run system we have today? Here we are in August, and like every other week it's time for another Texas Progressive Alliance blog roundup. Off the Kuff reminds us that Governor Perry's consistently wrong decisions regarding unemployment insurance will cost the state two billion dollars, maybe more. John Coby says you better think before you trust a republican with your family's health care. Our governor is living the life of the rich and famous. It does so on our dime and on the "dimes" of his fat cat contributors. Libby Shaw gives us the ulgy details over at TexasKaos, Our Kept Governor to the Unemployed: Eat Cake. Dembones at Eye On Williamson points out Rep. John Carter's latest nuttiness, Franking Commission draws the line on Rep. Carter. Mike Thomas at Rhetoric & Rhythm reviews Debra Medina's campaign video and deems her the Sarah Palin of South Texas. If nuclear power companies are already having trouble with their credit ratings, why are Texans rushing to throw them billions for plants that even the builders can't finance themselves? Good question, says Citizen Sarah at Texas Vox.